The Australasian Tea Association was created to establish a recognised and respected tea advisory committee within the Australasian region. The committee are advocates of the global tea industry, representing various sectors of the tea supply chain, including health and wellness and tea associated products. The association is helping to build a community of people who are passionate about tea and how it positively impacts their daily lives. Sharyn Johnston founded Australian Tea Masters in 2011 and the Singapore office in 2016 after a long corporate career. It is now the leading organisation for tea training and tea education in Australasia. 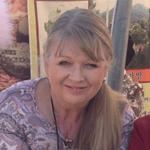 Sharyn has worked with some of the world’s leading tea experts to develop the training material used in the Australian Tea Masters “Certified Tea Master course”. Sharyn has also developed the only government accredited Tea Sommelier Course, the first set of tea standards for Australia. She is regularly asked to be a guest judge at tea competitions around the world. In 2015 she launched the first tea expo in Australia which is uniting together in 2017 with the Melbourne International Coffee Expo(MICE) in 2017 making it the largest tea and coffee expo to be held in Australia. She is a member of the Chinese Tea expert committee and was given a special award from the Cultural foundation in Korea for her contribution to the development and promotion of Korean Tea culture. 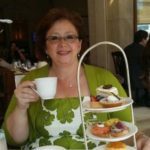 Sharyn writes for Café Culture magazine in Australia.With a social media network of over 15,000 followers and a strong tea focused network around the globe, she is a well-respected member of the global Tea community. Dr. Yoo Yang-Seok is a professor at college of general education, Kookmin University. 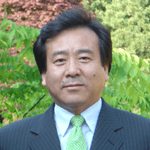 He is a vice chairman of Korean Tea Society, the oldest and highly regarded tea academic society in Korea. He is the author of the first comprehensive book about Korean tea culture in English, ‘The Book of Korean Tea’ in 2007. He is nationally recognised as a key contributor to Korean tea culture development and worldwide collaborations. Dr. Yoo has received numerous awards from regional governments, cultural and academic institutions for his contributions to the tea industry. Wei You is an inner Mongolia Taipusi bannerman who was born in 1979 and acquired the Bachelor of Management of Harbin University of Commerce. He is the Vice Director and Secretary General of the Tea Industry Committee of China Association for the Promotion of International Agriculture Cooperation (TICCAPIAC) and also the Executive Editor of both Tea Industry and China Trade Tea Weekly. 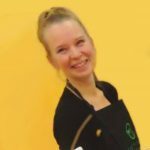 As Founder and Director of The Healthy Chef, a company that creates purely delicious functional foods for optimum health and wellbeing, Teresa is passionate about collaborating with projects and people within the industry, as well as guest speaking and presenting cooking masterclasses. 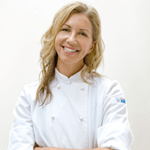 Teresa is a classically trained chef, nutritionist, author, accredited fitness trainer and media personality. She combines her love of food and fitness within her own life and shares her recipes and knowledge via The Healthy Chef website, TV appearances, cooking demonstrations and countless print and online articles. 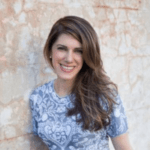 Teresa writes a national column for Sunday Life magazine and the Sun Herald (Sydney) and The Age (Melbourne) and contributes to various health and fitness magazines. She has also appeared on The Today Show, Sunrise, The Morning Show, The Living Room and The Daily Edition. 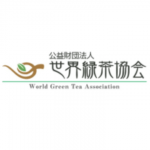 The World Green Tea Association is an organisation established by the government of Shizuoka Prefecture to further the development of green tea production, culture, and understanding through the spread of green tea’s traditions and knowledge of its healthful and commercial properties. From its centre of operations in Shizuoka Prefecture, Japan’s no. 1 producer and distributor of tea, the Association is working hard with tea producing and consuming regions to deepen appreciation for green tea across the globe. With 36 years’ experience in the food industry, the last 20 years with The Product Makers which is an International Australian based flavour company. 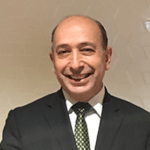 Lucky Procipou is Sales and Marketing Director for the group and manages all overseas countries, and establishes new regions worldwide, allowing the amalgamation of business, manufacturing and marketing units that encompassed dealings with the diversity in the food industry of each country. Technologies which he has developed and in new ventures such as encapsulated flavour technology and the latest new bio active product Phytolin is taking the business to new food directions. The encapsulated products being diversely used in tea products by the tea industry around the world. Lucky has established global partnership with multi-national customers involved in the food industry. Previous employment includes working with Jorgenson Waring & Joe white Malting involved with fruit and nut products and the malting industry. Cadbury Schweppes in the chocolate development and Herbert Adams/4 & 20 group in the pastry and flour Industry. He has also worked with Quaker / Pampas Pastry /Uncle Toby’s in the cereal and bakery industry. Jan O’Connor is the co-founder of T2 a national Australian icon. Jan was co-managing director for six years before leaving the company in 2002. The company was acquired by Unilever in 2013 for $60m. Jan was responsible for all store design, branding & marketing and was influential in changing the perception of how tea could be sold & promoted. T2 became a disruptor brand in the previously conservative tea & coffee industry. In 2007 Jan identified an opportunity & started a wholesale division in T2. Within four years T2 was supplying tea to more than 500 premium restaurants & retailers and providing crucial onsite service training & product education. 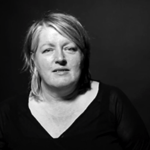 Jan is also a high profile architect & has maintained a career combining her passions for tea, business and design. Since 2003, Jan has also been the Managing Partner of Environa studio, an award winning Sydney based architectural firm which is involved in major projects around the world. Prior to founding T2, Jan held the position of Retail Concepts Design Manager at Myer Stores Ltd.
Dr Brown began his love affair with tea in 1990 when he was a member of the Tasmanian government research team investigating the potential for Japanese green tea production in Tasmania. At the conclusion of the project Dr Brown and his wife, Jane, were so impressed with tea that they planted Australia’s first commercial Japanese green tea garden on their own property, just south of Hobart at a latitude of43°S. Eventually Dr Brown overcame the bandicoots, rabbits and wallabies that developed a taste for freshly planted tea bushes and the first harvest of Japanese green tea, from the world’s most southern tea garden, was made and marketed in 2000. Consumer responses to the tea produced was and has been extremely positive and the tea garden has been expanded and production is increasing on an annual basis. Due to a lack of access to tea production equipment and servicing capability Dr Brown has researched tea processing methods and developed techniques using readily available commercial kitchen equipment. This produces a distinctive tea which Tasmanian consumers enjoy. 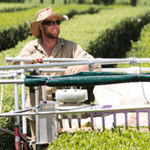 Dr Brown believes that innovative research, development and adaption of tea production for local physical and market conditions are essential for successful industry establishment. Dr Brown has now begun a process of mentoring other growers in Tasmania and is actively trying to develop a Tasmanian tea industry. Ronald is the Manager of Bankitwangi a family owned company in Indonesia with three major tea estates in Indonesia specialising in organic tea farming. At Bankitwangi, we continuously strive to improve tea cultivation focusing on biodiversity and we adopt best agricultural and manufacturing practices at all times. We are rebuilding the environment on our farms using natural practices and our vision is to be a prominent ambassador of organic consumption in the world. The three estates are “PT. SANKAWANGI PT. BUKIT SARI PT. BANTAR CITALAHAB”. Susan comes to the study of tea and tea culture from the perspective of one whose previous 25 year career has been conducting professional historical and cultural research. With degrees in History and Anthropology, (with an emphasis on Aboriginal Studies), she has a focus on cultural history. She has conducted work for the Canadian National Museum of History, the Assembly of First Nations, The Union of Ontario Indians and the Federal Government of Canada, most recently in the Department of Indian Residential Schools Resolution Canada. It seems logical then, when introduced to the world of tea, she would focus her attention on the history and culture of this beautiful plant, all around the world. She likes to dig a little deeper to learn about how culture is introduced, and how it evolved over time. While the world is a huge place, there are similar patterns of discovery and evolution of tea culture. Everything is connected in an intricate web. Susan is a Tea Sommelier, Tea Blender and Tea and Etiquette Consultant. She is also a lecturer on tea culture and and educator for tea sommeliers. Starting out as a venture into private farm forestry, this 140-acre (56Ha) property in the serene Australian Conondale Ranges is now undertaking the exciting task of growing and processing Green & Black Tea for the local market. Arakai grows Japanese tea varieties, processed in a Chinese/Taiwanese style (with Oolong influences), for Australian tastes. Their multiple award winning teas are sweet, aromatic greens and rich, full-flavoured blacks – best enjoyed in multiple, short steepings that bring out the beautiful, changing flavours of an Asian-influenced tea. In 2015 the property expanded to 390-acres (157Ha), now including large areas of high quality native hardwoods and pristine rainforest gullies. A retired art academic, Arthur K. J. Park now describes himself as “An old potter trying to give back”. Both Morning Earth Korea and Morning Crane Tea are educational endeavours developed to promote Korean arts and culture principally through promoting Korean ceramics and Korean tea. As a ceramic artist Arthur has exhibited internationally. He began his ceramic studies under Kenneth Beittel at Penn State and further studied under two Japanese Living National Treasures, Hamada Shoji in stoneware from Mashiko and Inoue Manji in porcelain from Arita. Both Japanese artists were highly influenced by Korean ceramics. In addition, Arthur worked for a year in the studio of the internationally known Korean potter Lee Jun Hee in Icheon, Korea. He has been researching Korean ceramics for more than 40 years. 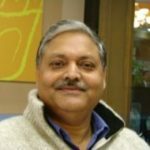 Rajiv joined the tea industry in 1974, working with Jayshree Tea & Industries Ltd, Longview Tea Company Ltd, and Seeyok Tea Company Ltd. He has extensive experience with Darjeeling teas. Rajiv has focused for years on improving the Indian tea industry. In particular he has studied the Chinese model of tea business, and has been synchronising with theirs to improve the image and marketing of Indian teas worldwide. He speaks five languages: English, Hindi, Nepali, Bengali, and Tamil. Nathan Johnston and the Cartel Roasters team are enthusiastic about sharing the ‘journey of coffee and tea’. Nathan travels the world sourcing coffee and tea direct from farms and provides open educational resources and training to invest in the future of the specialty industry in Australia with regular cupping and palate training. 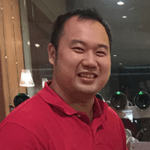 Nathan is a well-respected member of the global specialty coffee industry and has worked in all facets of the coffee industry from plantation to cup. Ms Nguyen Thi Anh Hong was born into a family with a huge passion for the Vietnamese tea tradition. She has a Business Administration Bachelor degree (4 years) and spent an additional 2 years gaining a Masters Degree of Business Finance. She worked in Australia before devoting her time to the development of the Vietnam Tea industry and has been the Vice Chairperson of the Vietnam Tea Association since 2002. In 2010, Ms Anh Hong officially become Director of Center for Tea Market Development and Research, VITAS. With more than six years of working in trade promotion, she has organised 36+ trade promotional programs for the Vietnam tea industry, managed the trade promotion programs of VITAS including allocating resources, strategic planning and decision making. Ms Anh Hong was responsible for leading a delegations to attend international expos and exhibitions in Singapore, Australia, China, Japan, Thailand, Russia Federation, and Switzerland. She played an important role in establishing the national trademark “Cheviet” for the Vietnam Tea industry, registering the trademark domestically and internationally, and marketing it on mass media like BBC, Vietnam News Agency in Thailand and Russia, VOV and VTV. 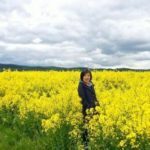 Ms Anh Hong also works as export-import consultant for tea companies in Vietnam due to her highly regarded reputation in this field as well as a long list of experience gained throughout her career. Jane Schueler is a Tea Master. She is a guest judge at national tea competitions, tea masterclass educator and designer of creative tea initiatives. Jane pursues her love for entrepreneurial ventures in brain fitness and high performance. She has formal qualifications in psychology, computer science and neuroscience, and is an accredited sports coach with national and international experience in the training, education, business and executive/leadership coaching fields. With a pioneering spirit, Jane is blazing a trail in the brain fitness industry through neurotechnology research, brain science education and analytical tools that lead to peak mental performance. Tea shares a close relationship with brain health as it relates to mental and emotional well-being, mood, stress management, mindfulness, nutrition and most importantly social connection Jane promotes these wellness aspects of tea and with respect for the tea origins, culture and artistry brings the leaf to life through collaboration, education and innovation. Anthia Koullouros has been a practicing herbalist and naturopath since 1994. Anthia was inspired to create her own brand of hand-blended, organic teas; OVVIO. Comprised solely of organic herbs & spices sourced sustainably from around the world, OVVIO teas embrace fusions of buds, seeds, leaves, flowers, fruits, pods, bark and twigs. As an extension of her love for education, Anthia released her book I Am Food – Eating Your Way To Health published by Penguin in 2014. 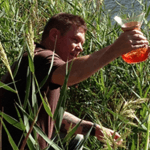 We believe there is a strong link between the herbal tisane market and the tea industry, and that it is important to have a herbal specialist involved within our committee. Tai Shiang Tea Co., Ltd. has been exporting tea from Taiwan since 1966 and continues to use traditional 3rd generation methods as the basis of their tea processing. They export teas including Formosa Oolong Tea, Dong Ding Oolong Tea, Pou Chong Tea, Tekuangin Tea and Amber Oolong, Gaba Oolong Tea among others. 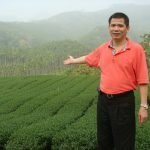 Fourth generation successor Mr. HSIU CHEN KAO has created KAO TEA which is available for retail since 2014 to help promote the beautiful teas available in Taiwan. 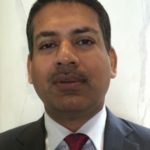 Mr Santosh Kumar Sarangi, belonging to the Indian Administrative Service Cadre is presently holding the charge of Chairman-Tea Board of India, apart from being the Joint Secretary in Department of Commerce, Ministry of Commerce & Industry, Govt. of India, handling assignment of export promotion of Agri and Marine products and looking after Export Inspection and territorial division of NAFTA. He has vast experience and profound knowledge in bilateral trade relations. He has done his Post graduation in Political Science from Delhi University, M. Phil in Centre for Political Studies from Jawaharlal Nehru University, New Delhi and Masters in International Development Policy from Duke University, North Carolina, USA. Alex was born in Fuzhou Fijian China, a well-recognised tea production area. 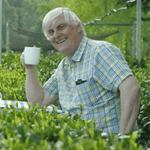 He has visited numerous Chinese tea plantations and specialises in Chinese teas. Growing up in this area, meant he has had experienced tea picking, panning, and drying first hand. His mother was also a tea picker. He has a genuine interest and desire to support growers and pickers. 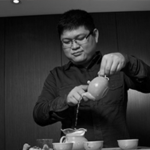 His aim is to expand knowledge about tea culture and develop people’s appreciation of what is a most charming beverage. 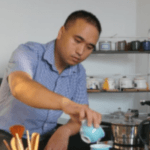 Alex won the inaugural Tea Masters Cup Australia/New Zealand in May 2016 and competed in the Tea Masters Cup World Championships held in Seoul, Korea in June. He came second place in the Tea Tasting category.